5 Points Open the second gift. 5 Points Open the first gift. Candy Pain 5 Points Get a combo of 100. Laser Lungs 5 Points Use Singing Spirit to defeat 10 enemies. Decker 10 Points Open the fourth gift. Double-Deck'd 10 Points Get a combo of 200. Fight as a Feather 10 Points Defeat 10 enemies while airborne. Flew In From the Sky 10 Points Defeat any boss with the Spirit Horses. Goth Your Back 10 Points Defeat the Goth Chick. Jingler 10 Points Open the third gift. Keep Calm and Carol On 10 Points Defeat any boss with the Singing Spirit. Lip-Collector 10 Points Use Spirit Horses to steal lips from 5 enemies. Stocking Blocking 10 Points Block 50 attacks. Bringer 25 Points Open the fifth gift. Jingle Jammin' 25 Points Defeat any boss with the Ultimate Spirit. Lackey Lacks Luck 25 Points Defeat the Lackey. Peter Bully 25 Points Defeat 5 enemies with the same combo. Polar Express 25 Points Avoid all the hazards while riding Buddy. Santa's Favorite Bringer! 25 Points Open the sixth gift. Scrooge's Nightmare 25 Points Use Ultimate Spirit to defeat 6 enemies at once. Season's Beatings 25 Points Get a combo of 300. Jingle All the Way 50 Points Beat Fred without taking a single hit. You're Fred to Me 50 Points Defeat Fred and Save Christmas! Bear With Me 5 Points Secret Medal: Unlock this medal to view its details! 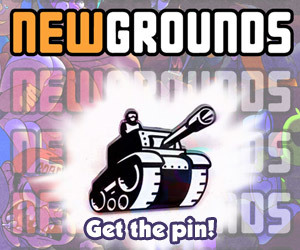 Gingerdead Man 5 Points Secret Medal: Unlock this medal to view its details! Silent Fight 10 Points Secret Medal: Unlock this medal to view its details! Non-Specialist 25 Points Secret Medal: Unlock this medal to view its details! The Winter Soldier 25 Points Secret Medal: Unlock this medal to view its details!